Time: September 1st, 2016 @ 7:00PM. Please join us for Young Adult Prayer Night. This is a great time to slow down for a moment, gather together, learn and grow over a discussion topic (TBD), and spend adoration time with the Lord. NOTE: LOCATION CHANGE! 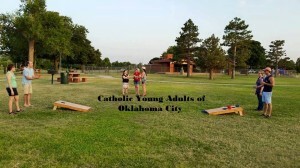 We are moving prayer group to St. Francis of Assisi Catholic church located at 1901 NW 18th St, Oklahoma City, OK 73106. We will be in the youth room on the second floor. 8/27/2016 CYA Social and Sports! What’s going on friends! I hope this year has been treating you well! Do you enjoy Frisbee, Corn Hole, Music, Soccer, Football, Ladder Ball, and possibly Volleyball?! What about the lake, friends, fellowship, and enjoying God’s wonderful outdoor creation? If you answered yes to any of this….. I expect you to be at the CYA outdoor social and sporting event! We had this event last year and it was a lot of fun! This is a great event to relax, enjoy some sports, food, and most importantly some time with other great Catholics! We will have a hotdog lunch provided for all who come! However, we do need a head count so we know how much to make! Feel free to bring a dish to share with others if you feel called to it! We look forward to seeing you all at Stars and Stripes Park! Time: August 18th, 2016 @ 7PM. In Billy Joel’s song Only the Good Die Young, he claims he’d “rather laugh with the sinners than cry with the saints. The sinners are much more fun,” …but are they REALLY? Despite what it sounds like, Theology on Tap this month will NOT be about analyzing song lyrics. I’m sorry to disappoint all of you music buffs. But we have something even BETTER: Father Joseph Irwin, pastor of St. Francis Xavier church in Enid, will be talking to us about SAINTS. Hopefully all of us will come away from this laughing about Billy Joel’s ignorance since saints really are pretty fun—I mean, St. John Paul II skied until he was 73! Sounds like a pretty fun guy to me. So if you want to hear a great talk about saints, meet some fun new people, and enjoy some great BBQ, come on out to Theology on Tap this Thursday and see why it’s our most popular event. 08/11/2016 CYA Social @ Fassler Hall! Time: Thursday August 11th, 2016 @ 7PM. 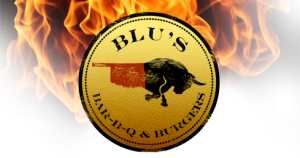 It’s that time of the month where we meet for an evening/night of laughter, new friendships, great food, and drink! Come out as we continue to learn more about each other and this wonderful Catholic Young Adult group! 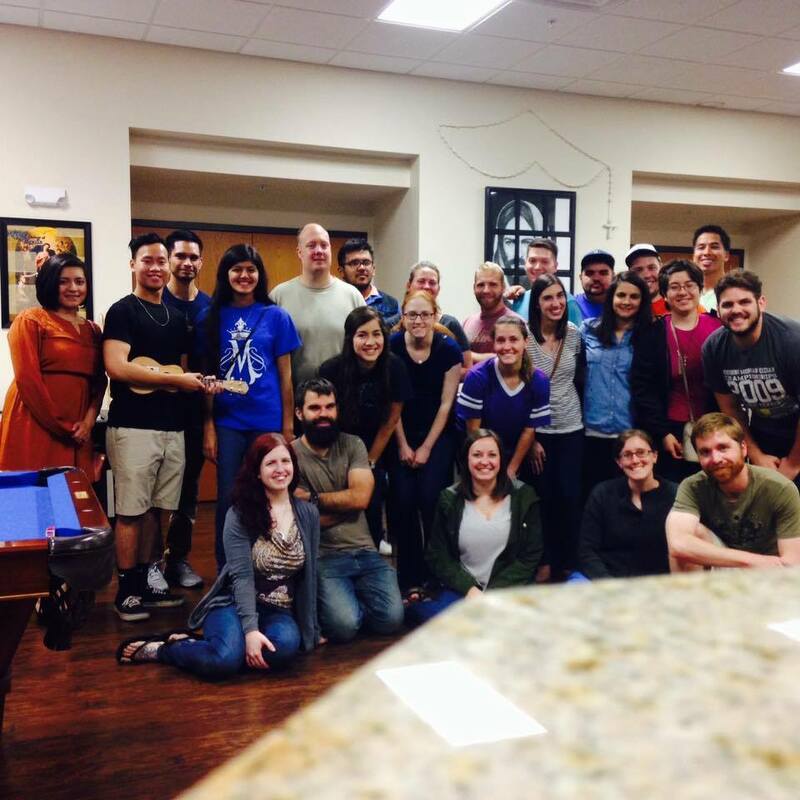 It’s a great time filled with some of the best people you will meet and of course the wonderful faith we share! We can’t say enough how awesome this event is with all of the awesome smiles and amazing people! We encourage you all to come hang out! See you at the August CYA Social! 08/07/2016 CYA Church Visit With Mass! Time: August 7th, 2016 @ 10:50AM. Hello everyone! 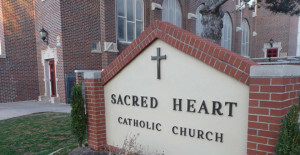 This month we will visit Sacred Heart Catholic Church! 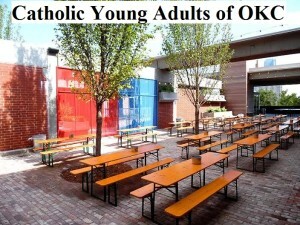 This is a great way to enjoy the amazing Catholic Church’s in OKC and surrounding cities. And of course the great congregation they each have! Some of us will stay after Mass to spread the word about Catholic Young Adults of Oklahoma City and what we are all about! Please feel free to attend Mass and/or hang out for a bit afterwards! 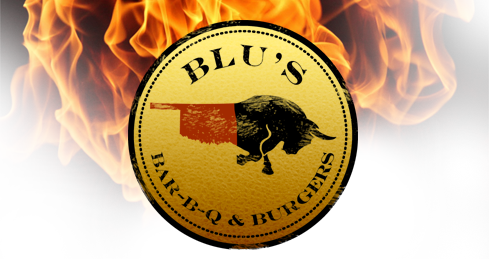 We will most likely grab lunch after Mass! Please come a bit earlier so that we can all sit together! And if you have a CYA shirt, wear it! Mass is at 10:50a.m. By the way…Mass will be in Spanish! Please don’t let that deter you as it is a great experience to celebrate Mass in potentially a different language than your primary! 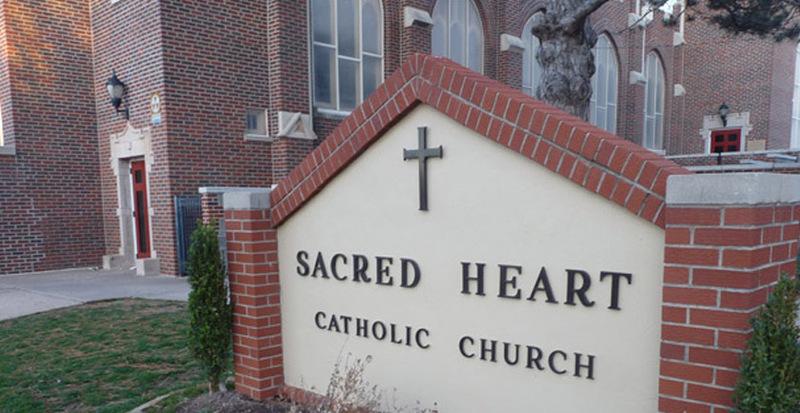 Hope to see you at Sacred Heart! 08/06/2016 Summer Skating at Arctic Edge! 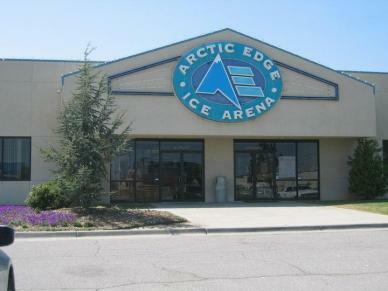 Take a break from the summer heat and enjoy some ice skating at Arctic Edge in Edmond. Admission is $7 and skate rental is $3. Time: August 4th, 2016 @ 7:00PM. Hey all! I hope you are having a wonderful summer, and not frying too much in this summer heat! Please join us for Prayer Night next Thursday as we focus our attention on relativism in the world today, and we spend time in adoration and fellowship with other young adults. 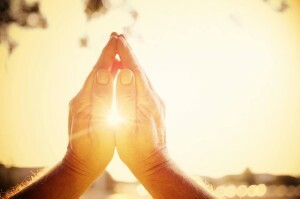 It would be a great time to spend an evening with Jesus in the midst of our busy schedules! I hope you can make it! It’s at St. Andrew’s in Moore, in the large building behind the church.